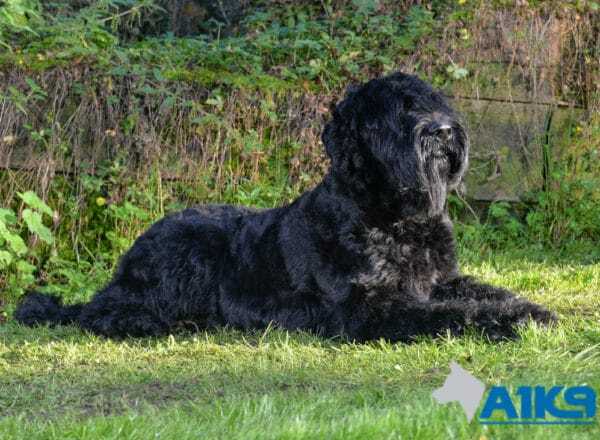 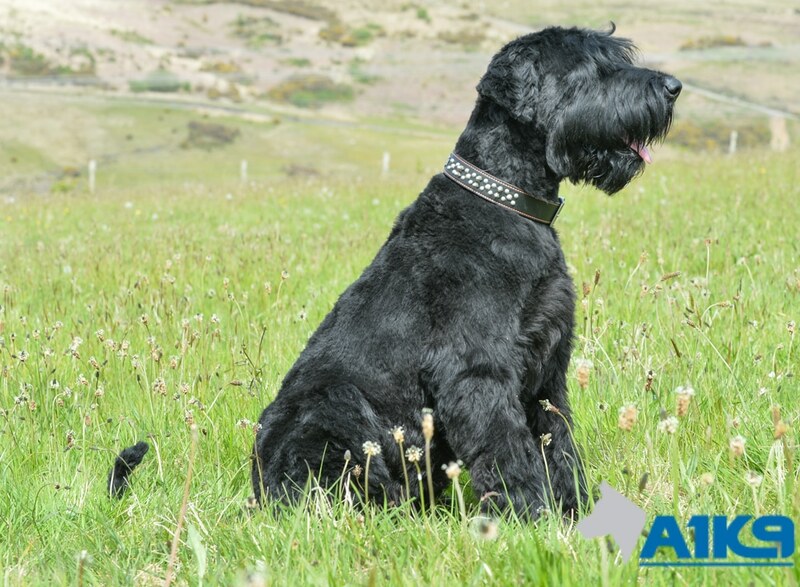 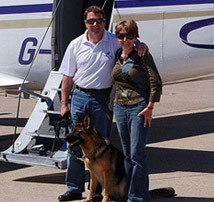 A1K9 family protection dog Bert, is a Giant Schnauzer with a super temperament and character that we were fortunate enough to have been able to source from one of the UK’s top breeders. 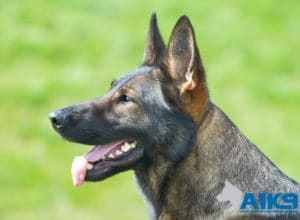 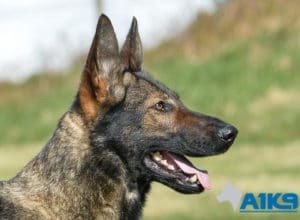 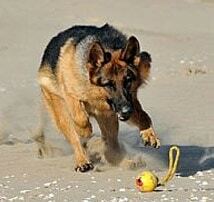 Bert is likely to appeal to those who might not be GSD fans or for those looking for a non moulting breed. 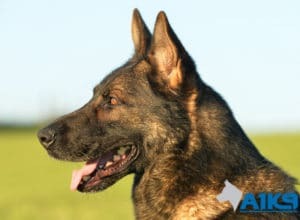 Bert is certainly capable of affording tangible protection, has a huge physical presense but that has a softer look than most typical guarding breeds. 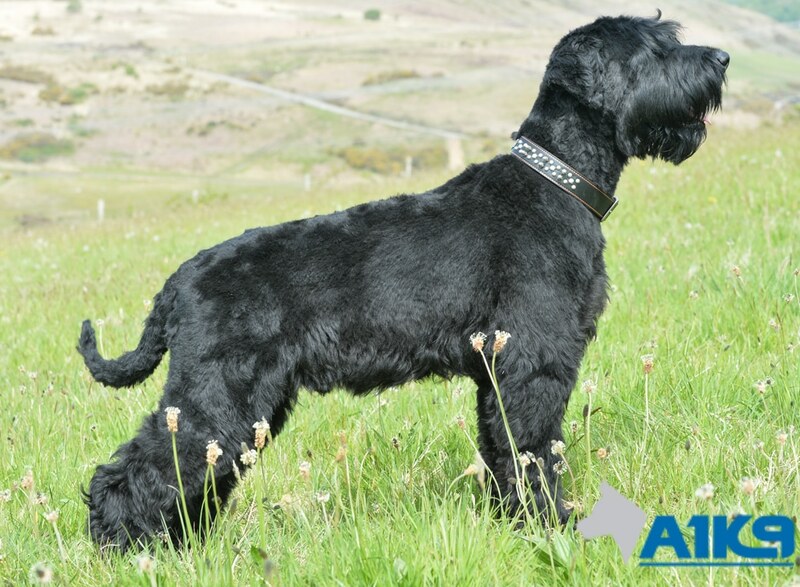 As a dog that doesn’t moult, he does require stripping or clipping at reasonably regular intervals and as you can see from his pictures, his coat can either be kept longer or shorter as is his owners preference. 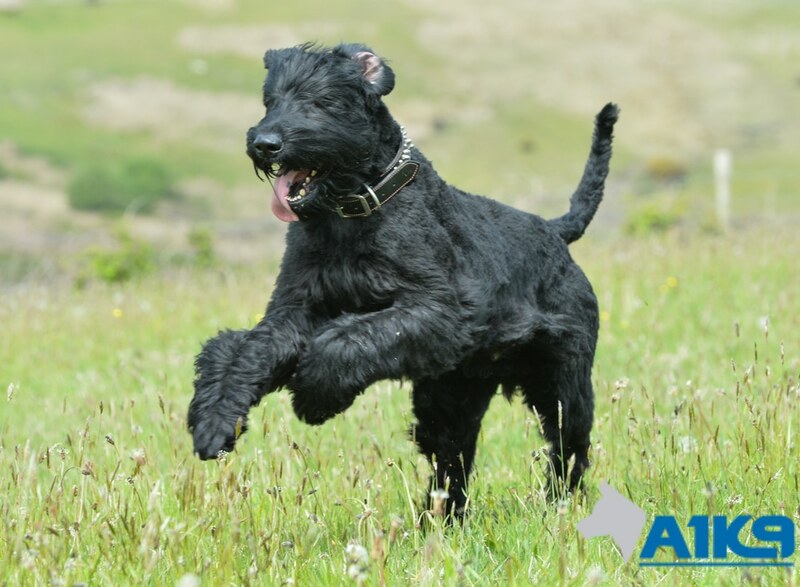 Bert has sailed through his obedience training and is very adept at his protection work; with a growl and bark that seems to shake the room, however, when in pet mode this boy is one of the most affable chaps around, always ready for a pat and a cuddle. 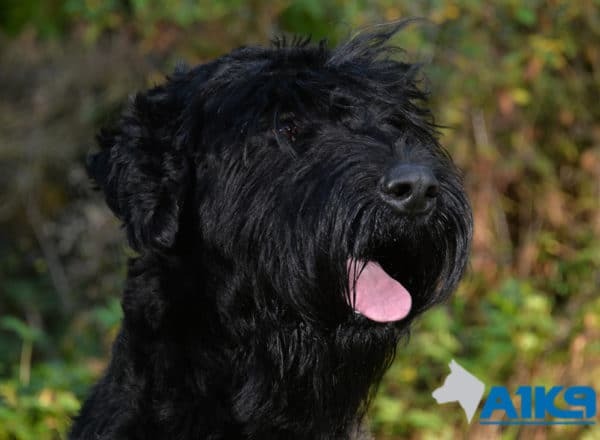 He is content to play with the kids, interacts perfectly with other dogs and is so easy to handle, he has even worked for a four year old girl who was approximately half his weight. 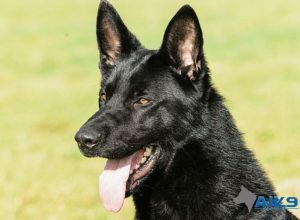 If you are looking for a protection dog with a difference that will double as a very loyal family pet and companion, then Bert might just be the one for you.